So here’s over to you, Stef! 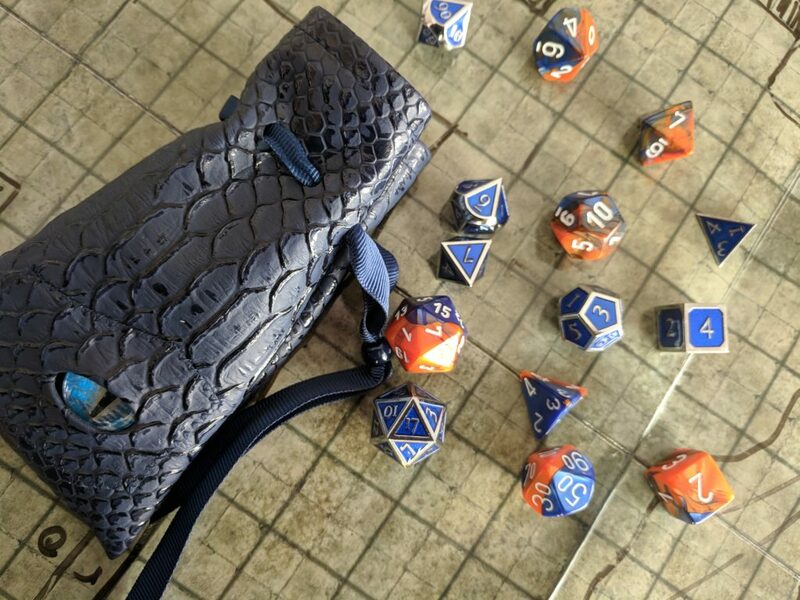 What’s your favourite thing about being a DM? 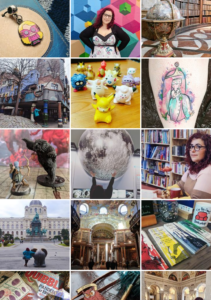 So many things! I love creating home-brew scenarios/encounters for my players and I like the weird and wonderful things they want to try to do (key word being try, haha!) I think the best part is sitting back when the players are discussing things, and just seeing that they are having fun with the story I’ve created. How do you find it when we attempt strange new things? When a player has something bizarre they want to try, I need to think quickly about how they would go about it and what checks need to be made. I don’t want to hold the game up too long whilst deliberating on what to do. Over time I feel I have grown more confident with adapting my DM’ing. Sessions seem to flow better, but preparing the session and beyond does help! Would you say that’s one of your biggest challenges as a DM? Thinking of interesting scenarios and encounters can be a massive challenge, trying to cater for all players so as not to have things go stale. This is what keeps me going as a DM though, as I want to better myself in terms of creative writing. Who has your favourite NPC / Campaign character to RP been so far? This is a tough one. I’ve not had many long-standing NPCs so far, but Dmitry (the Russian NPC I created for a small side quest whose son was kidnapped) was a good laugh because I was able to bring my very poor Russian accent to the table. And hey, he may well reappear! You guys (the players) seemed to enjoy him as well. What else are you looking forward to in future sessions? Introducing more self-created NPCs with their own detailed backstories and also more of my own scenarios; perhaps ones that involve less combat and more logical thinking and puzzle solving coupled with RP. My players are getting more into it as we progress which is nice. What advice would you give to someone who wants to give D’n’D a try? I would say just give it a go even if you are in doubt! Once you start it’s hard to stop- it’s such an open and limitless world. You do not need to role-play – some people do not feel comfortable with it. The rules are bendable and you will make mistakes – even the most experienced players and DMs make mistakes! I would recommend finding some friends, buy the starter set and just go with it. Speaking of buying things… Dare I ask how much D’n’D stuff you’ve bought? Blimey, I’ve lost track. It’s got to be in the region of nearly £300 I’d say. This was spent on books (both digital and physical), minis, dice, trays, pens, sticky notes, ink and maps. If I could, I would buy more books and dice boxes (as I now have a rather hefty collection of dice!). But you don’t really have to spend so much to lead a great campaign! 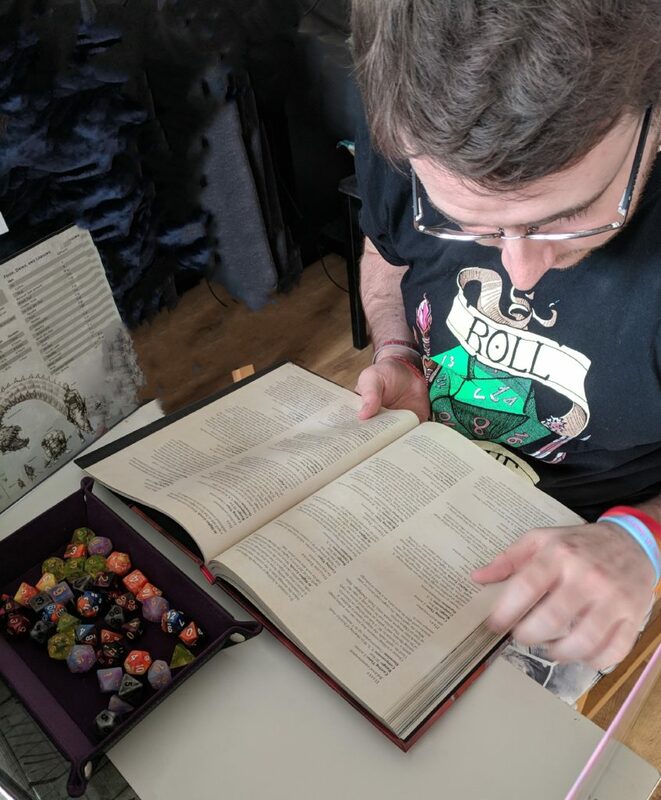 Got any advice for other people wanting to DM? It is good to mix things up with NPCs the players meet, so I would advise doing a little role-play as a DM. I myself like to do voices, despite some of them being bad and want to encourage my players to RP more. I would recommend (for a new DM) picking up the starter set and read right through the whole campaign. 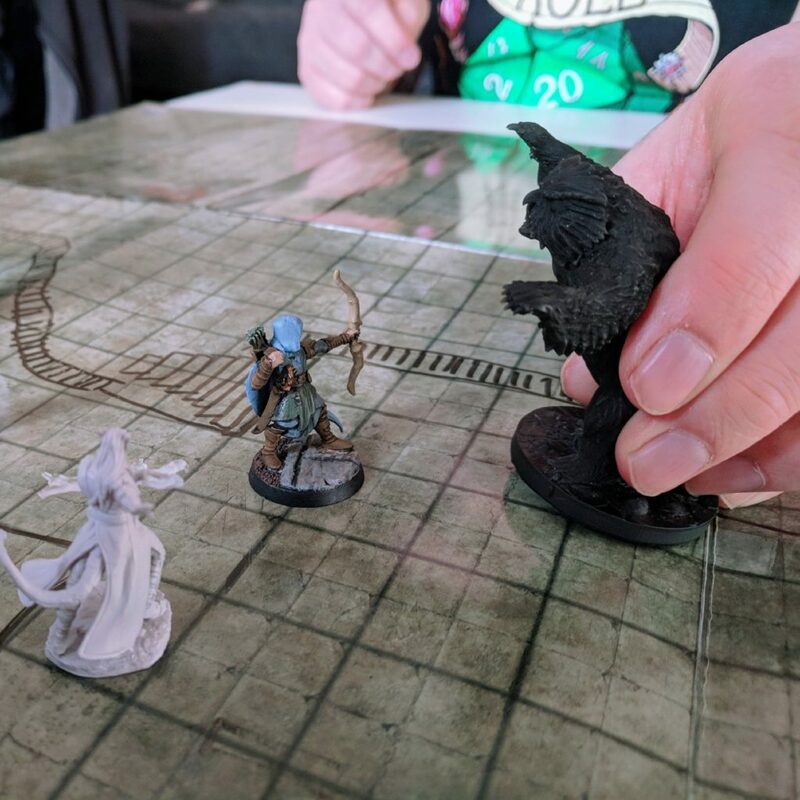 A lot more prep goes into being a DM and knowing what is round the corner is beneficial, because you never really know what your players are going to do! One last, very important, question! If you were a playing character, what would you create? Do you have any more questions for Stef? This is a part of my NEW Critical Hit! Series of D’n’D related blog posts! Love this post! I have never DMed before, but I would like to in the future. First, I want to play in as many campaigns as possible to become more familiar with the mechanics. Love, love, love this new series! I recently started playing DnD again with a group of friends and my husband is DMing. He’s a creative person and it’s been nice seeing how happy he has to have an outlet for his creativity on a weekly basis. DMs are a special breed, being able to think so fast on their feet and confidently weave a world that is believable, fun and engaging. Respect! Amazing! 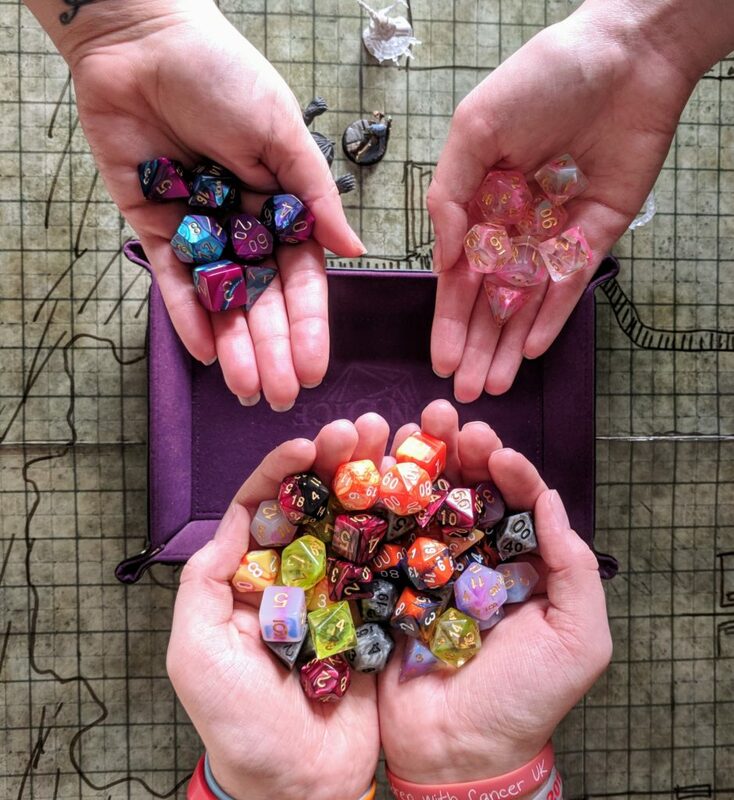 I know so many people who use D&D as a creative outlet – I love that more people can appreciate it and find their strength using it! 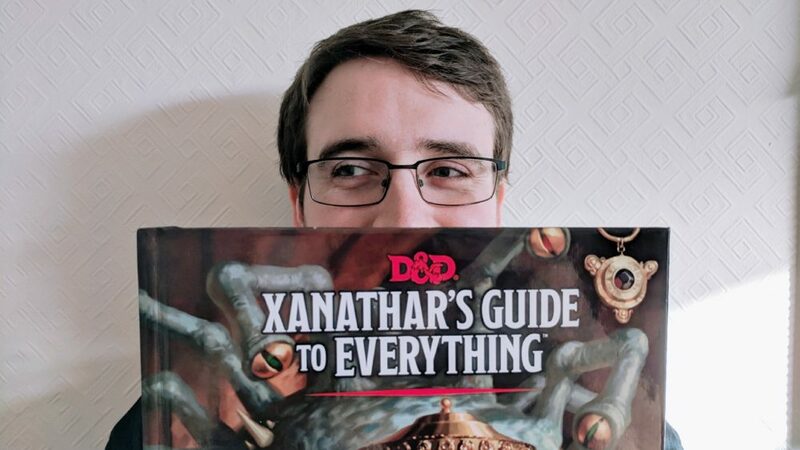 Some more of my friends who want to get into D&D (along with my boyfriend Dane) have asked me to learn how to be a DM as they feel I’ll be really good at it, due to my drama background.